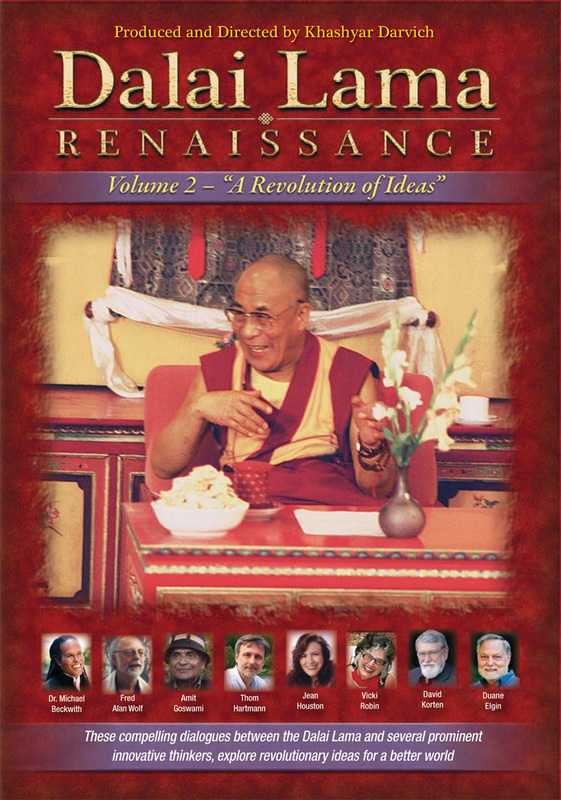 DVD – "Dalai Lama Renaissance"
News about "Dalai Lama Renaissance"
Reviews and Articles about "Dalai Lama Renaissance"
Harrison Ford & the Dalai Lama in a new powerful film that has transformed audiences around the world. * Available on NOW on iTunes or DVD. (DVD is region-free NTSC, and ships internationally). * In cooperation with His Holiness the Dalai Lama’s Office in Dharamsala, India, a portion of each DVD sold will be used to support the Tibetan Child Orphans & Refugees with food, clothing, housing and education. 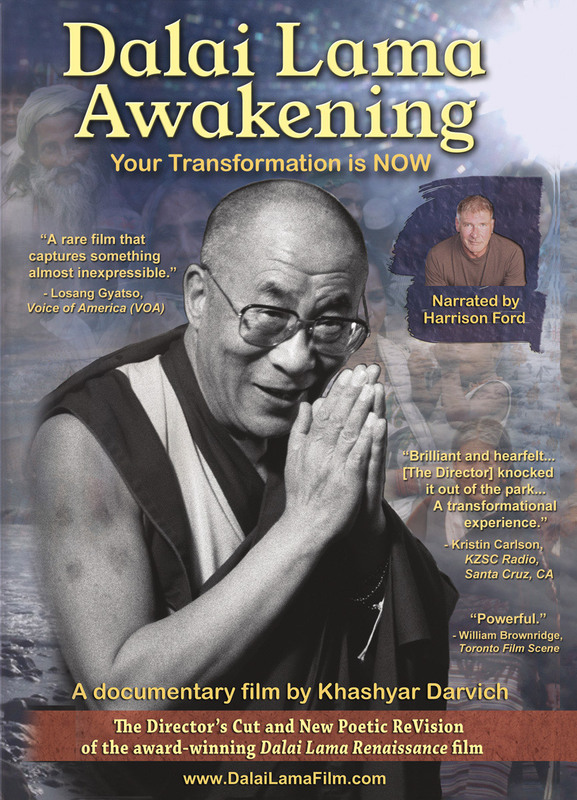 Narrated by actor Harrison Ford, Dalai Lama Awakening is 15 year realization of a cinematic dream that presents the profound and life-changing journey of innovative Western thinkers who travel to India to meet with the Dalai Lama to solve many of the world’s problems. The result was surprising and transformational. This new documentary film was born from over 500 hours of video footage shot by 10 cinematographers over a 15 year period, and is a dramatically new “Poetic ReVision” and Director’s Cut of his award-winning Dalai Lama Renaissance which won 12 awards and screened over 1,000 times around the world. The film features Quantum Physicists Fred Alan Wolf and Amit Goswami (“What the Bleep Do We Know”), Michael Beckwith (“The Secret”), Revolutionary Social Scientist Jean Houston, and others. Open your heart, be the change, and change the world. What would Buddha and Jesus think of the American Dream? What is the Dalai Lama’s wisdom about finding happiness and purpose in this busy modern world? A new film from the Director of the critically-acclaimed ‘Dalai Lama Awakening’ (narrated by Harrison Ford). Illuminating insights about the essential problems of our world today and how we might solve them, featuring the Dalai Lama and other revolutionary thinkers like Fred Alan Wolf, Jean Houston, Elisabet Sahtouris, Thom Hartmann, David Korten and others. 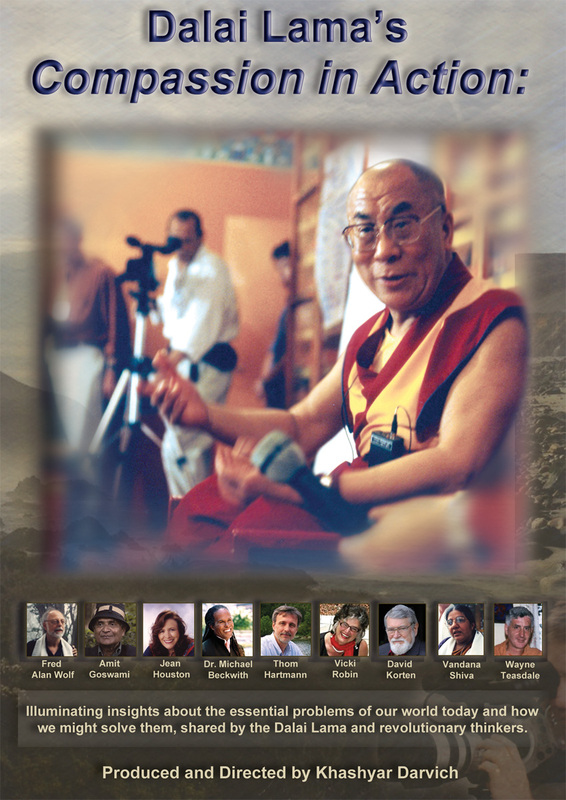 ‘Compassion in Action’ is the final inspiring journey with the Dalai Lama and the innovative thinkers featured in the award-winning ‘Dalai Lama Renaissance’ and ‘Dalai Lama Awakening’ films providing inspiring solutions of how each of us can put Compassion into Action. ”Dalai Lama Awakening’ presented an illuminating inner journey of personal transformation from the head to the heart. ‘Compassion in Action’ shares insights with us about the real cause of unhappiness and suffering, and how to find happiness and fulfillment. 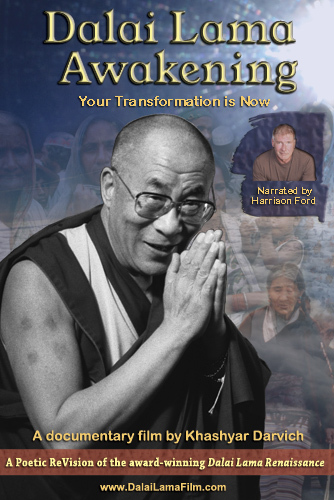 * In cooperation with His Holiness the Dalai Lama’s Office in Dharamsala, India, a portion of each DVD sold will be used to support the Tibetan Children’s Village in Dharmsala, India, which helps newly arrived Tibetan orphans and refugee children with food, clothing, housing and education. Explore deeper with Volume 2 of “Dalai Lama Renaissance.” What is it like meeting the Dalai Lama and speaking with him in a small room about his ideas about facing the challenges of our time? Eavesdrop on this intimate conversation between great minds in their quest for a better world. Sign up for our Wakan Films email newsletter and receive the latest news from Director Khashyar Darvich and Wakan Films about the release of our new inspiring films, and where they are screening near you.